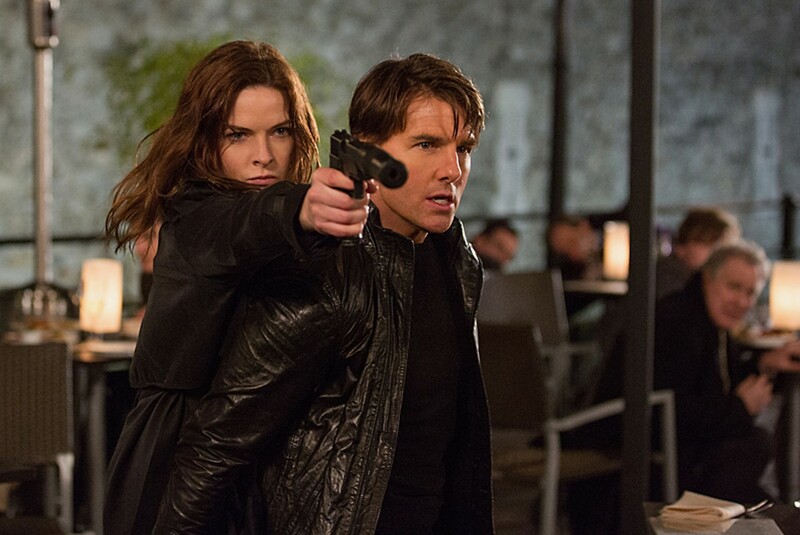 Mission: Impossible -Rogue NationRated PG-13. Opens Friday at the AMC Metreon 16, the AMC Van Ness, the 4-Star Theatre, the Presidio, and the CineArts Empire. The original Mission: Impossible television series was one of a glut of movies and shows capitalizing on the popularity of the James Bond films, so it's only appropriate that Christopher McQuarrie's solidly entertaining Mission: Impossible - Rogue Nation has a more of a Bond vibe than the last few official Bond pictures. Picking up from Ghost Protocol, this fifth Mission: Impossible film finds Ethan Hunt (Tom Cruise) and his partner Benji Dunn (the eternally welcome Simon Pegg) racing to both keep their team and the world safe from a crime organization known as the Syndicate. Though there's surely some digital sweetening, many of the action set-pieces feel like they're actually happening in front of the camera, particularly an extended fight above an opera. Rogue Nation actually feels like less of a throwback to the 1960s Bond films than to the 1980s, particularly in its very Nordic villain Solomon Lane — Sean Harris in the most deliciously affected performance since Eddie Redmayne in Jupiter Ascending — while the introduction of British agent Ilsa Faust (Rebecca Ferguson) to the mix suggests that this may be one of the only ongoing spy concerns that actually know how to use female characters. Granted, Jeremy Renner is still around Rennering up the joint, but Rogue Nation is good fun in spite of him.